For those of you who use Google Assistant on your iPhone, you can now have it play music from your Apple Music account. Just like other music services, you can link your Apple Music account via a toggle switch in the Music section of the Settings for Assistant. Once linked, you can use Assistant to play music from the service by saying, “Play Rush on Apple Music“. The functionality of Google Assistant on iOS is somewhat limited as you cannot have it as your default Assistant. That still is reserved for Siri and is unlikely to change (on Android, you can change the default Assistant app). That means that the functionality of this new feature is going to require you to fire up Google Assistant and give the command. In other words, it isn’t as smooth a user experience as Siri… but it is Google Assistant which is documented at being superior Siri in accuracy. Apple’s music app for Android, Apple Music, has a new update rolling out that brings several new features and enhancements. Perhaps the most interesting of these is support for Google Assistant in the app. Now you can use the “OK Google” command to open the app and stream music from it much like you can Google Play Music. There is also a new widget for the app that will allow you to see your recently played songs which also has the ability to play music from your home screen. Apple has released an update to the Apple Music app for Android today, bringing with it support for those subscribers with Family Plans as well as support for playing music videos within the app. 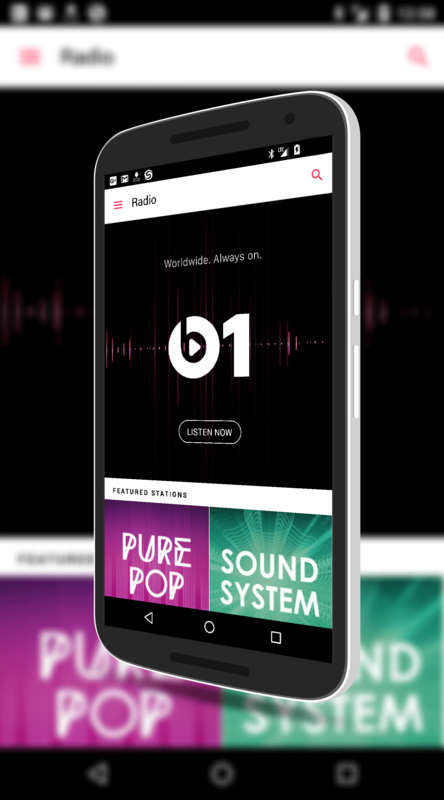 The update brings it more inline with Google Play Music for Android as the streaming music and video content battle (not really a war – yet) continues to heat up between the two tech giants. Google has had Google Play Music for iOS for some time. Earlier this year, Apple said that they would be making Apple Music available to Android users later this year for those who wanted to take advantage of the monthly streaming & music purchasing service. That day has arrived and the beta build of the app is now in the Google Play Store. Much like Google Play Music, Apple music allows you to subscribe for $9.99 per month or $14.99 per month for your family and allows you to stream music, download music from your iTunes account and get curated content from Apple.